Manchester United are ready to open contract talks with Paul Pogba — in a bid to fend off Real Madrid. But the star midfielder wants an eye-watering £500,000 a week to put him up with Alexis Sanchez as the club’s top-paid player. Real boss Zinedine Zidane hopes to land fellow Frenchman Pogba as well as Chelsea’s Eden Hazard as part of his Bernabeu summer refit. But while Pogba, 26, is thought to be flattered by the prospect of moving to Madrid, United will do everything in their power to keep the midfielder. 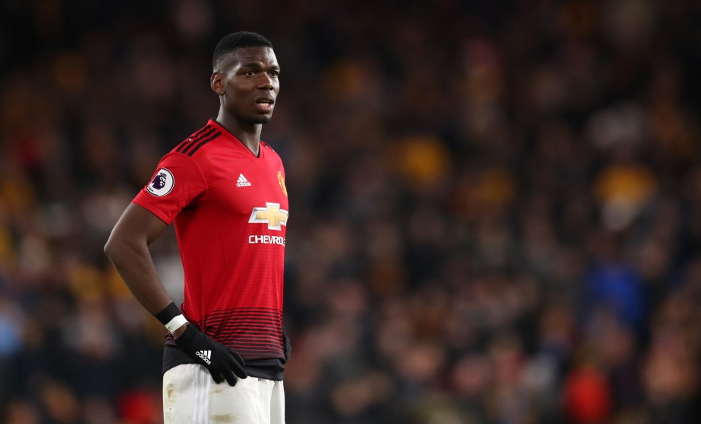 And that means agreeing with boss Ole Gunnar Solskjaer that Pogba must remain a key part of the United squad for the long-term. Pogba’s current deal has two years to run, although United have an option to extend that for a further 12 months. But the Red Devils could be willing to put a three-year extension on the table, tying Pogba to Old Trafford until 2024. Pogba’s agent Mino Raiola is aware that his player is in high demand and will push United all the way when negotiations begin next week. Any new deal would need a huge wage increase with Pogba currently on a basic of £300,000 a week, significantly less than flop Sanchez’s £505,000. Raiola is also acutely conscious of Solskjaer’s desperation to keep Pogba with United set to lose out-of-contract pair Ander Herrera and Juan Mata. Meanwhile, Sanchez’s troubled stay at Old Trafford is on the brink of ending if the club can find a buyer. That all puts Pogba and his agent in the box seat but, for United, winning the battle with Real is seen as a vital statement of intent and ambition.